Michigan won’t be handling water testing in Flint anymore. After assuming that responsibility in 2016, the state is officially handing it back to the city starting in July, according to The Flint Journal/M-Live. This is, in theory, a good thing. It indicates a return to normality for the city of nearly 100,000, all of whom were exposed to dangerous levels of lead in their water supply after the city switched water sources in 2014. Now, lead levels aren’t supposed to be dangerous anymore. The state says they’ve stabilized at around six parts per billion since the last six months of 2017. (The federal action level is 15 parts per billion though the state adopted more stringent rules last week, which will be enforced in 2025.) Earlier this year, water lead levels even tested to as low as four parts per billion. With this in mind, the Michigan Department of Environmental Quality decided the water’s in good enough shape for the city to take it from here. It sent a letter to the city’s Public Works Director Robert Biscik June 14, per The Flint Journal. This move takes a bit of responsibility off Michigan’s plate, which has been piled with Flint biz since the water crisis. This year, the state’s really trying to change that, ending its free water distribution program and even blaming a local hospital for the Legionnaires disease outbreak that killed 12 at the height of the crisis. However, the city’s finances are still shaky as hell. The City of Flint staff is shrinking amid growing responsibilities and decreased pay. 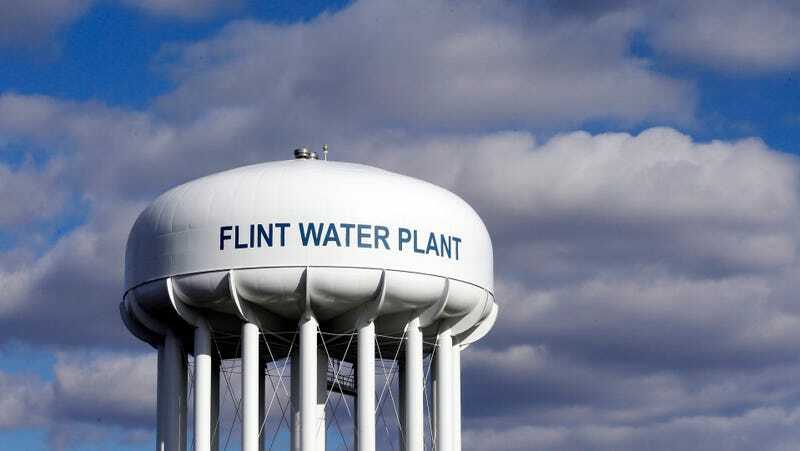 It’s unclear whether Flint has the resources to pick up this new duty again, which entails continuing to test the water every six months until a year after it completes the water line replacement currently ongoing, according to ABC. Flint is also required by law to seek homes with lead plumbing to test, something it failed to do in the past (which is, in part, why Michigan took up water testing in the first place). It’s also unclear how much of an impact these tests or replacements will have on the public, many of whom are no longer drinking the water at all. Lots of families still depend on bottled water, including Dr. Mona Hanna-Attisha, the pediatrician who helped expose the crisis. She told CBS News still doesn’t drink from the tap.